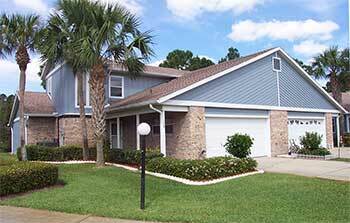 We found 1 matching residential property. Now displaying the final residential property. Waterview! 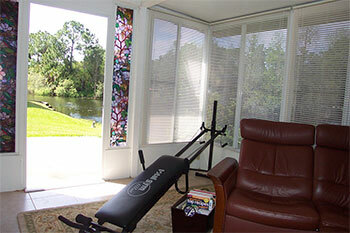 Great location- only 1 mile from I4 & I95, 10 minutes from shopping malls, restaurants, and the hospital. 2 1/2 miles to the airport & racetrack! 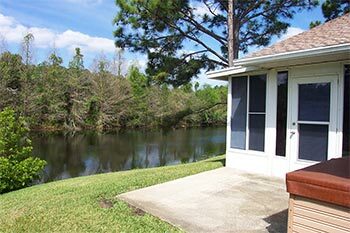 This 3 bedroom 3 bath condo built in 1990 is located in the prestigious Pelican Bay gated, golfing community complete with clubhouse and community swimming pool. Recent upgrades include: 2 new AC units including air filtration and a UV system on the lower floor unit- upgraded fans through-out- new sink, counter-tops, garbage disposal, the refrigerator and dishwasher are 2 years new. The 2 car garage includes a large storage area and a sink in the laundry area. The attic has an exhaust fan. 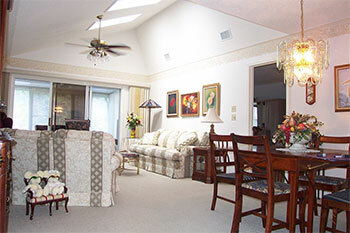 It has a large open plan living/ dining area, and skylights in the living room to create just the right lighting! The flooring is of neutral color and is the perfect mixture of faux wood Congoleum and carpet. 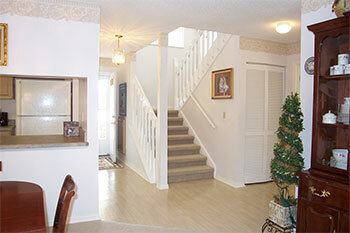 This home is immaculate and has only had 2 owners. 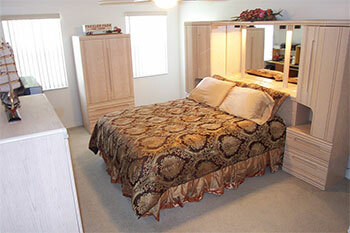 The master suite is roomy and both the master and the upstairs bedroom has walk-in closets. The upstairs bedroom would be a perfect office/ hobby room. 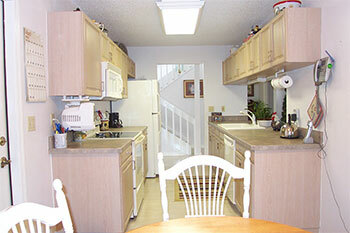 There is a pantry in the kitchen and this condo is well insulated for sound and to keep those utility bills down. You will love the view from the family room- after passing through the sliders out to the family room you can enjoy the view of the water way and enjoy the hot tub. Furnishings are negotiable. 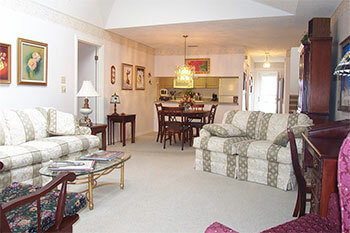 Condo fees include exterior pest control, water, outside building maintenance and lawn care. Hurry before this one is gone!